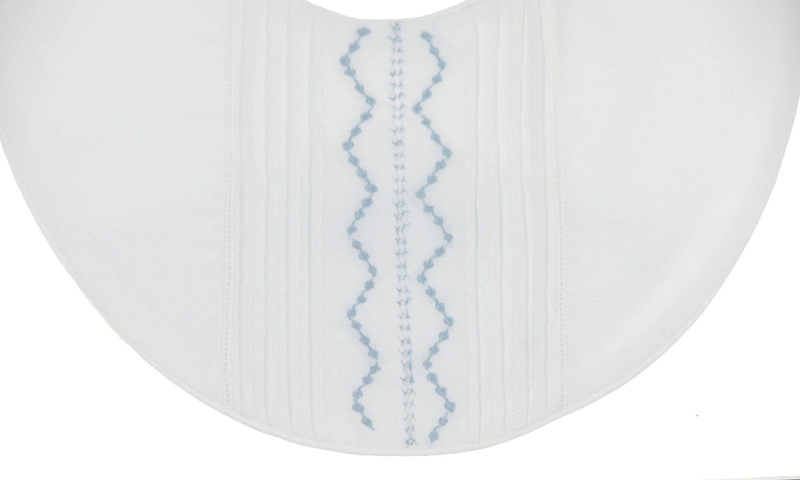 Made by Feltman Brothers, the leading designer of classic baby layettes for decades, this sweet little white batiste bib features pintucks and fagoting with a blue embroidered design. 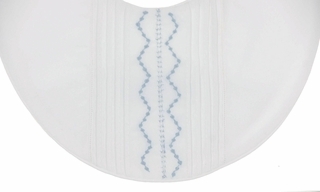 The bib closes at the back neck with a button and loop. This darling bib will go well with any of the Feltman Brothers white rompers or daygowns. Perfect for a baby shower gift or a newborn baby gift. 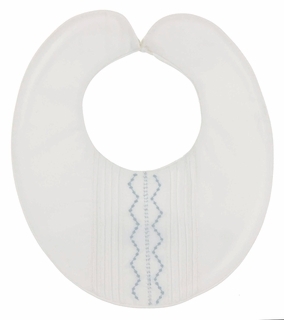 Note: This bib is also available in blue. Matching hat is also available. See below. This item is sold out. Not sized but will fit newborn to 6 months.